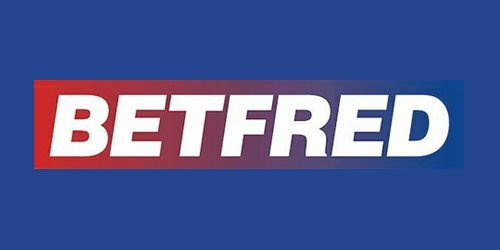 Check out our Betfred review by looking at a renowned UK-based bookmaker that has developed one of the best sportsbooks in the industry. Read on to see how Betfred's service offering stacks up against that of its rivals. A great welcome offer awaits new Betfred customers who sign up to the betting and gaming service. They will receive £30 in free sports bets and 30 free spins when they stake at least £10 at minimum odds of evens. That's an enhanced offer for Betminded readers compared with the regular Bet £10, get £30 available signing up directly through Betfred. Just make sure to go through one of our links in order to claim this offer. Bear in mind the full terms and conditions that may apply. You must be 18+ to register as a Betfred customer and claim this promotion. Bettors will no doubt be impressed by a number of sports Betfred covers, most of which centre on those popular in the UK and Ireland such as rugby league, rugby union, Gaelic football, horse racing, greyhound racing, rugby and snooker. Mainstream options such as football, tennis, golf and Formula 1 are also available. While the list of US sports is growing, it still lags behind major competitors. As is common nowadays, non-sports markets such as lottery specials, TV shows and politics are also offered. While the number of options is impressive, this Betfred review found the range of available markets per each category too often restricted to standard options such as match result, points spread and line betting, particularly across US sports such as NBA and NHL. To match other major bookmakers, Betfred needs to complement its extensive list of sports with deeper markets for each. Compared to other bookmakers, the odds were generally relative during our Betfred review, although there was a lag in French Open tennis, as well as NBA and NHL playoffs markets. The discrepancies were marginal, but the fact remains that there was nothing outstanding to note about the odds. On the plus side, the margins available will generally trump those offered by rivals such as Bet 365 and William Hill, particularly on Asian handicap markets in football and other sports. 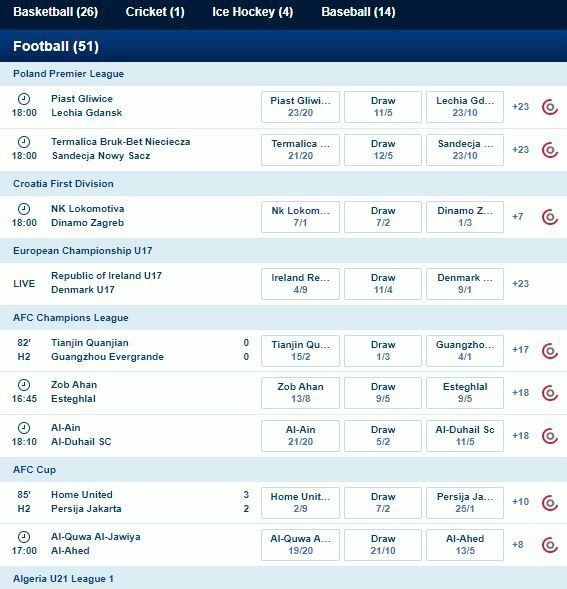 There is also an enticing Acca insurance scheme, which at the time of writing offered up to a £25 free bet on losing football accumulator bets in which one leg in a five or more accumulator loses. In-play betting is a prominent feature of the Betfred website and mobile app. The live betting offering is strong, encompassing mainstream sports as well as nichè options such as eSports, snooker and volleyball. As with all major bookmakers, an auto refresh feature on the in-play betting page covers all the fluctuations in odds as the action unfolds, giving bettors quick access to the best value as it becomes available. Again, however, the lack of depth in markets reduces the appeal of the in-play betting service as a whole. More positively, the Watch Live Free streaming service allows customers to tune into a host of live sports streams from around the world, ranging from football (Bundesliga, La Liga) and tennis (Wimbledon) to snooker and greyhound racing. Audio streams are also available across an array of sports. All the streams are available through a helpful calendar that can be easily navigated and used to create a tailored live streaming schedule up to seven days in advance. Windows Phone users are often left out by bookmakers, but not with Betfred, which has a mobile app compatible with Windows, Android and iOS mobile devices, as well as Apple Watch. The app impressed on numerous levels during our Betfred review, particularly through an intuitive interface that makes for quick navigation across the extensive sports markets and various features. This ties in well with the impressive quick bet feature, allowing users to make their selections from hundreds of markets in a matter of seconds through a few simple taps. Technically, the app is sound, operating without any major glitches or crashes. All six payment methods can be used for both deposits and withdrawals, and there are no fees nor major delays to report. Upon making a withdrawal, customers will have access to their funds within 48 hours, except for credit and debit card withdrawals, which can take 3-5 business days. Tallied with some of the most generous minimum deposit amounts in the industry, we found the payments service to be more than fair during our Betfred review. A 24/7 live chat and comprehensive FAQ section – which often saves the need for contacting customer support – were the most impressive aspects of this part of our Betfred review. There are series of email addresses for specific queries, which clearly aides response times as Betfred's are among the best customers will come across. Polite, professional and well-informed service awaits. We were impressed with the mobile app, customer service, live streaming and payment options during this Betfred review. If Betfred can simplify the welcome bonus and boost its range of markets – particularly across US sports – it will have one of the best sportsbooks in the industry. Customers are reminded that they can earn a £30 bonus across the Betfred sportsbook and 30 free spins by signing up with the Betfred promo code and staking at least £10 on their first bet.